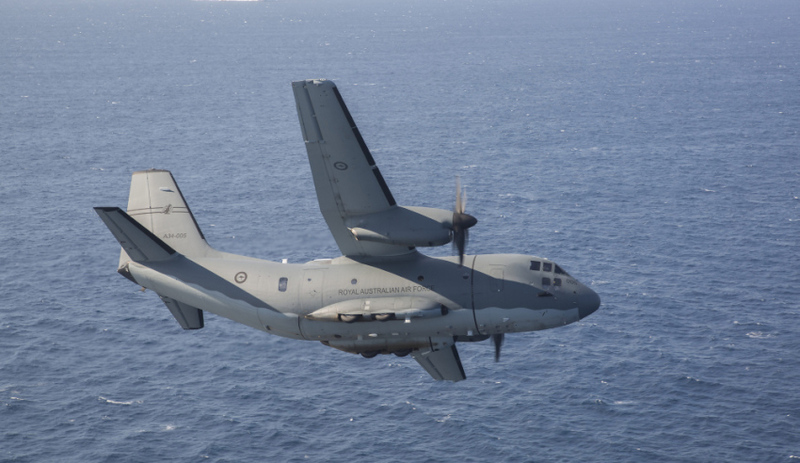 RAAF C-27J Spartan takes to the skies near Sydney, New South Wales. Image via Commonwealth of Australia, Department of Defence. Federal government cuts to funding of the Regional Development Australia (RDA) programs have forced the Sydney Aerospace and Defence Interest Group (SADIG) to implement reforms. The reforms, announced on 18 August 2017, will see SADIG work to implement structural and operating funding changes. The changes will primarily focus on ensuring initiatives established in recent years continue to be maintained and developed. Chris Williams, chairman of SADIG, said it is crucial for SADIG to continue the impetus and advocacy that it has fostered, to ensure more projects and programs for defence industry development in NSW are delivered. Williams said Commonwealth funding and staff resources of RDA Sydney and the NSW government were fundamental to the establishment and operation of SADIG in its focus areas of aerospace and defence industry support for innovation, skills and supply chain. "It is now decision time for future directions and structures for SADIG and industry engagement to be put in place," Williams said. Departing executive officer of RDA Sydney Bob Germaine said that RDA Sydney will now focus on engaging with the broader SADIG industry membership to determine a transition path and way forward for SADIG. The aim will be to a determine a sustainable funded delivery model that encourages and facilitates input from its industry members, researchers and many stakeholders, including local, state and Commonwealth governments. "Since start-up and launch of SADIG in 2012, many notable achievements can be cited for furthering the economic development of the NSW aerospace and defence industry sectors," Germaine said. "Future success for SADIG will lie in its ability to improve collaboration between industry groups in NSW, capture the collective innovative skills, talent and support of its members, and provide value in return. "It is hoped SADIG stakeholders remain committed to helping in developing collaborative partnerships and solutions supporting innovation and commercialisation to sustain and grow new jobs in NSW." The government said reforms to the RDA program, recommended to the Australian government following an independent review of the RDA Program, will aim to take RDA committees from their focus on planning to playing a more active role in brokering regional investment in their regions. More recommendations from the independent report can be accessed here.